Chinese fare --- Thai and Japanese cuisine, too --- at Sang Kee. : Sang Kee Asian Bistro is a larger and more stylish version of its Chinatown parent, Sang Kee Peking Duck House. While fine Chinese is the specialty, the bistro dips its chopsticks into Thai and Japanese cuisine as well. 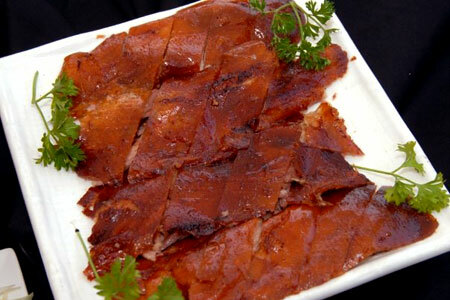 At lunch, indulge in steamed watercress dumplings or one of the many noodle dishes containing vegetables or roast pork. Vegetarians might enjoy a tofu salad. In the evening, make yourself heard over the noise of the crowd and order the famous Peking duck, chicken with eggplant in garlic sauce or salt-baked squid in five-spice dressing. Definitely try the Shanghai soup dumplings --- a rarity in the 'burbs. Online ordering for takeout is a popular option for those in a hurry.